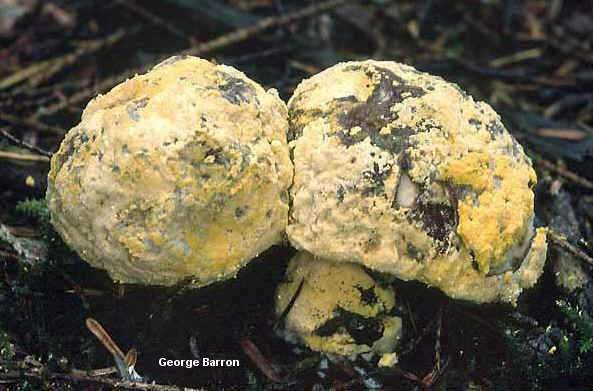 This "bolete mold" is widely distributed in North America (and the world, for that matter); many mushroom hunters in search of edible boletes have found Hypomyces chrysospermus attacking their quarry. The fungus begins on the mushroom's pore surface as a white, powdery mold, but it quickly spreads across the mushroom, sometimes engulfing it entirely and distorting it into something nearly unrecognizable. 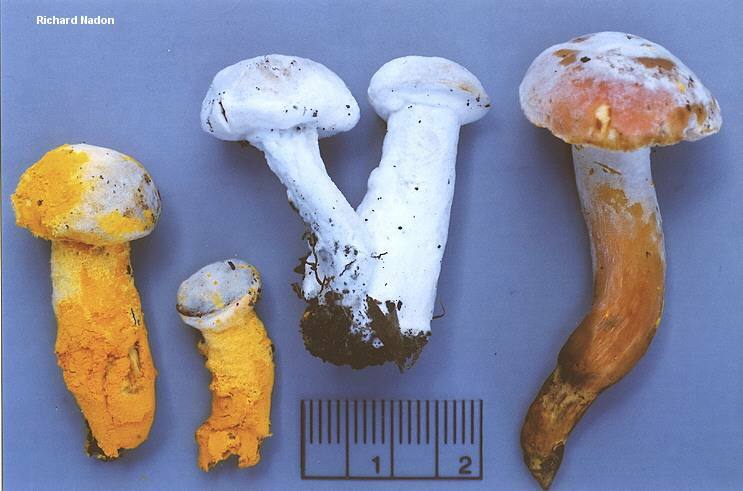 When mature, Hypomyces chrysospermus turns from white to golden yellow--and eventually becomes reddish brown (though neither the mushroom nor the mold is very often seen in this last stage, since decay has set in). 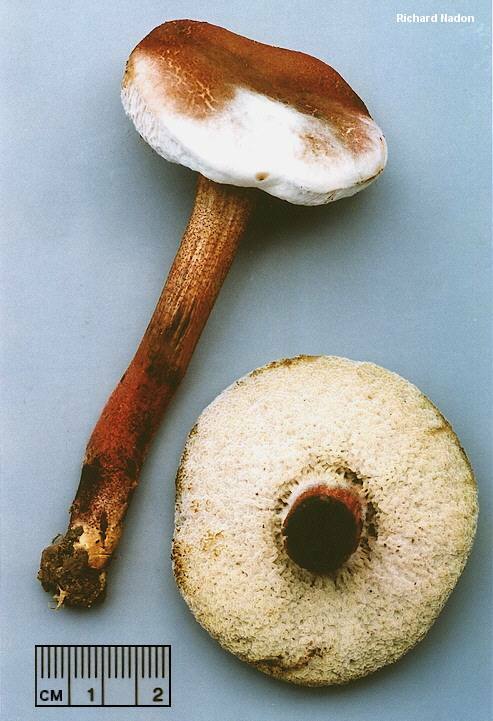 Ecology: Parasitic on various species of boletes, which have diverse habitats; widely distributed and very common. Fruit Body: A powdery, mold-like covering that is at first white, then golden yellow, and finally reddish brown. Microscopic Features: Spores vary between development stages. In white stage 10-30 x 5-12 µ, elliptical, smooth; in yellow stage 10-25 µ, round, warty; in final stage 25-30 x 5-6 µ, spindle-shaped, septate (with a separating wall). Asci 110-150 x 6.5-9 µ. A pair of parasites: Hypomyces chrysospermus attacking Boletus parasiticus attacking Scleroderma citrinum.